Welcome to the Comixology Bestseller list, your guide to see how well your favorite titles are selling digitally. Every week I’ll post the ranking of every new title, plus a ranking of the best selling volumes & graphic novels. As always, I hope you’ll find it interesting and informative. Last week was loaded. This week, however, looks tame by comparison, with far fewer new releases. But the surprising news: Marvel wins the New Titles Top 10, which hasn’t happened since I’ve been keeping track. The score is Marvel four, DC and Image tied at three. Does this represent a changing of the guard, or a weird anomaly while the Big 2 prep their relaunches? Once again, it’s The Walking Dead and Batman at No. 1 and 2 respectively in the first week of the month. These two titles are stuck at those spots with glue. Jason Aaron‘s Avengers has debuted at No. 3 in the new titles section, the best position Marvel could’ve realistically hoped for. It’ll be interesting to see if any of the other Marvel No. 1’s can hit as high. And with a Justice League relaunch around the corner, there will soon be a rivalry for best selling team book. 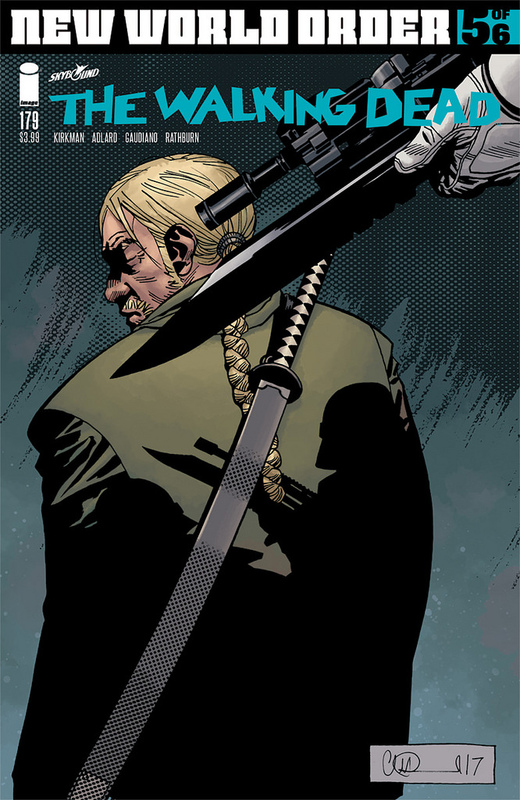 Rick Remender‘s Death or Glory had a strong debut at No. 20, and it’s already ranked higher than Remender’s other popular title, Black Science. This will certainly be one to keep track of. PREDICTION TIME: Venom #1 by Donny Cates is debuting next week. Where will it land on the New Titles section? Take a guess in the comments and tune in next week to see how close you got! 45. Thor (2014) Vol. 2: Who Holds the Hammer?